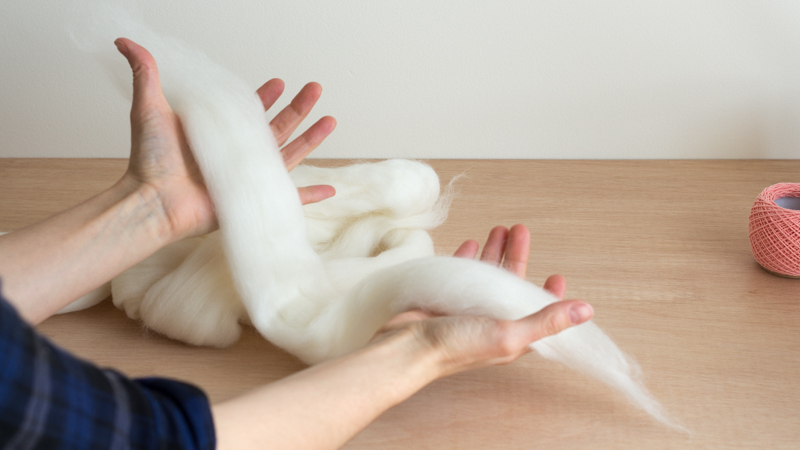 Successfully spinning your first yarns by hand is all about fibre preparation. The choices you make here will influence your spinning style and determine the qualities of your finished yarn. We’re proud to have partnered with Louët to bring you two fibre prep tools that are indispensable to the dedicated hand spinner. Louët hand carders combine ergonomic design with a lightness in hand. You’ll comfortably create rolags, mini batts and rovings ideal for woollen-spun yarns. Louët mini combs are a compact option for de-hairing, blending and aligning your fibres for worsted spinning. These combs are suitable for a spectrum of fine fibres. Beth Smith introduces you to a range of spinning and fibre prep tools, providing guidance on choosing the right tool for your project. 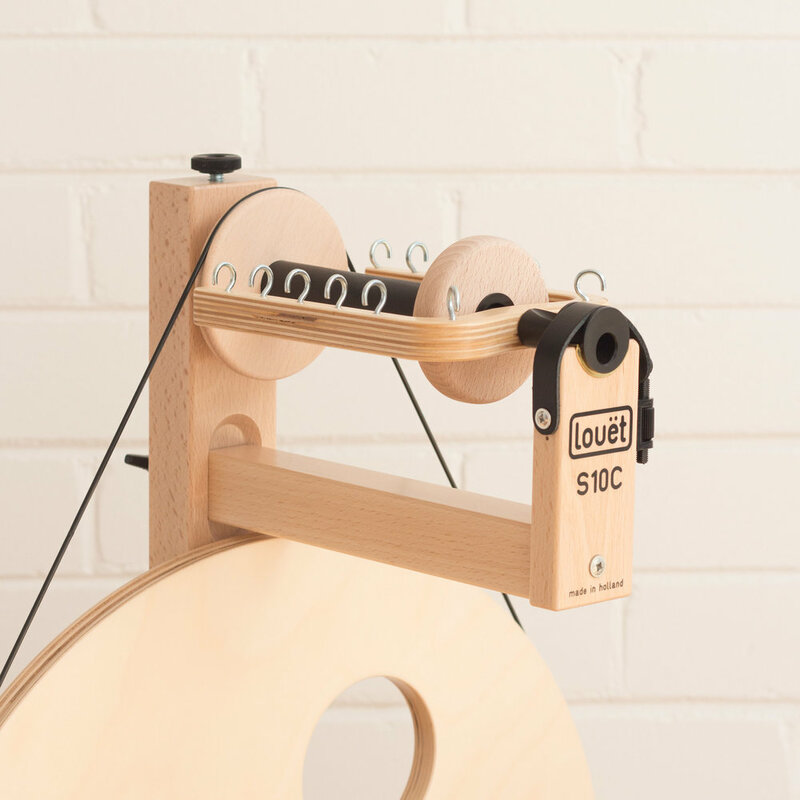 Arguably the most modular spinning wheel on the market today, Louët’s S10 Concept wheel is all about functionality. With its modular design this wheel is completely customizable making it adaptable to any need, skill level or yarn preference. Definitely a wheel you won’t grow out of anytime soon! It embodies over 40 years of research and development, representing Louët’s outstanding commitment to excellence in quality, design and workmanship. To get you started we’ve put together an exceptional package to maximize all that the S10 Concept has to offer and bring you a reliable multipurpose tool designed to spin a variety of yarns and fibres. With a range of experience levels in mind, we’ve chosen an Irish tension drive system (where the main wheel drives the bobbin, rather than the flyer) for its ability to deliver consistent tension and take-up throughout an entire spin. The result is an enjoyably predictable spinning experience with no finicky pre-spin setup or mid-spin twitchy tensioning issues! With the added bonus of the Irish tension’s huge bobbin capacity it definitely won’t disappoint when spinning for those larger projects. We’ve opted for the double-treadle upgrade to ensure the most ergonomic spinning session to help you avoid those repetitive strains that may keep you away from your wheel. And, styled with Louët’s iconic cut-out wheel and clear lacquer finish, the S10 exudes a clean minimalist aesthetic that won’t go out of style and definitely doesn’t look out of place at home on display. Irish tension drive system, well known for its simplicity and spinning consistency. Geared for three speeds to help you expertly manage twist entering the forming yarn. Indispensable hooked flyer, designed to help you smoothly and completely fill bobbins, and importantly, the ability to lace the hooks to reduce yarn take-up when spinning finer threads. Fuss free bobbin changes, it’s as easy as releasing the flyer brake, parking the drive band and lifting the flyer and bobbin straight from the orifice. Handy drive-band brake at the back of the flyer shaft – a favourite design feature at Loom & Spindle! This means you can easily ‘park’ the drive-wheel so there’s no movement from the flyer or treadles when changing bobbins or the wheel is not in use. Inventive yet simple solution for attaching the leader yarn to the bobbin – just make a knot in the leader yarn and slip it into a pre-made slot on the bobbin shaft and start spinning. Orifice diameter of 13mm that will accommodate a wide range of yarn thicknesses. Classic minimalist design with contemporary feel that has well and truly stood the test of time. Maintenance free clear lacquered finish that coats every surface to protect the timber from drying out. Can be disassembled for storage or transport, an optional carry bag is available. Modular design that makes it adaptable to any need, skill level or technique. See ‘Customisation and Accessories’ on the product listing for details. Loom & Spindle have a range of these accessories in stock, please contact us for details and pricing. 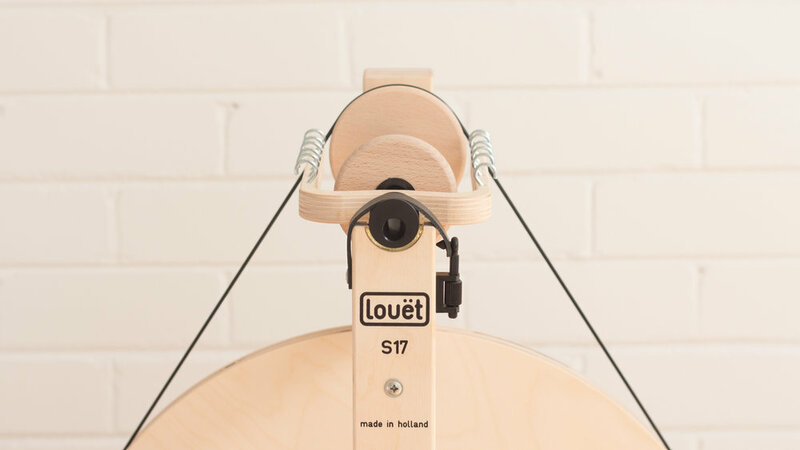 The S17 is the longstanding workhorse of the Louët spinning wheel range. It offers the beginner spinner an enjoyably predictable spinning experience without any finicky pre-spin setup or mid-spin twitchy tensioning issues. And, for those with a bit more experience and perhaps spinning for speed and production, it’s big-hearted take-up and huge bobbin capacity definitely won’t disappoint. It’s geared for three speeds to help you expertly manage twist entering the forming yarn. 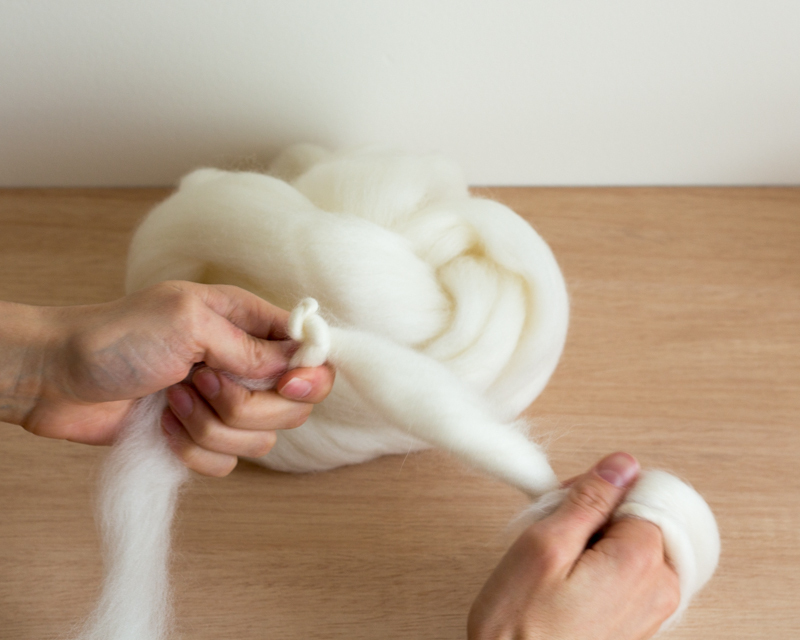 Start slow for a beginner or perhaps to spin a bulky art yarn, then increase your speed as your coordination improves and your interest in spinning a range of fibres and yarns grow. The Irish tension drive system, where the main wheel drives the bobbin (rather than the flyer), is known for its ability to deliver consistent tension throughout an entire spin. This allows you to almost ‘set-and-forget’ creating a more meditative spinning experience. Louët are highly regarded for their craftsmanship and commitment to functional design. The natural timber finish and contemporary aesthetic will no doubt appeal to the modern spinner. 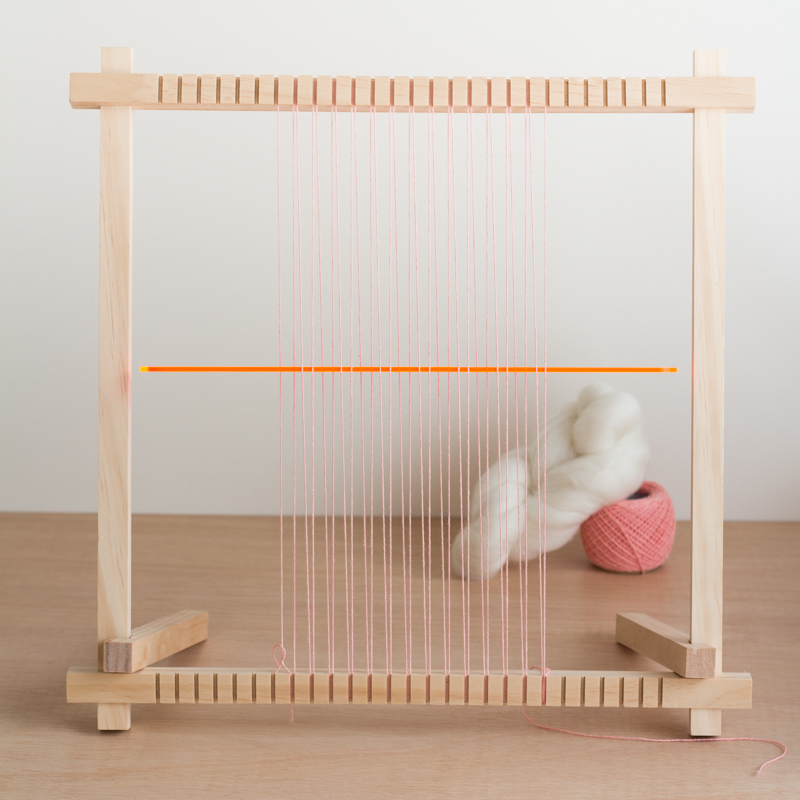 And finally, at a great entry level price and the inclusion of Loom & Spindle’s ‘Beginner’s Wheel Spinning Kit’ you’ll have all the resources and tools at your fingertips to start spinning your first yarns. An Irish tension drive system, well known for its simplicity and spinning consistency. An indispensable hooked flyer, designed to help you smoothly and completely fill bobbins, and importantly, the ability to lace the hooks to reduce yarn take-up when spinning finer threads. A handy drive-band brake at the back of the flyer shaft – a favourite design feature at Loom & Spindle! This means you can ‘park’ the drive-wheel when changing bobbins or the wheel is not in use. An inventive yet simple solution for attaching the leader yarn to the bobbin – just make a knot in the leader yarn and slip it into a pre-made slot on the bobbin shaft. An orifice diameter of 13mm that will accommodate a wide range of yarn thicknesses. With the same technical specifications as the Louët S10 Concept wheels there are a range of accessories available to customize your wheel for different spinning experiences. A classic minimalist design with contemporary feel that has well and truly stood the test of time. Crafting with yarn and fabric has always been a part of my life. Though it wasn’t until 2013, when I took time out for myself and my new-born, that I started getting serious about the crafts I was most passionate about. While experimenting with knitting and weaving and exploring various fibres, I stumbled across the craft of hand-spinning my own yarns. Being someone who naturally desires to know how EVERYTHING works, I was eager to give it a go. Though navigating this new world of hand-spinning was more difficult than I’d anticipated. I knew I didn’t want to spend a lot of money just to try it and find out I didn’t like it. 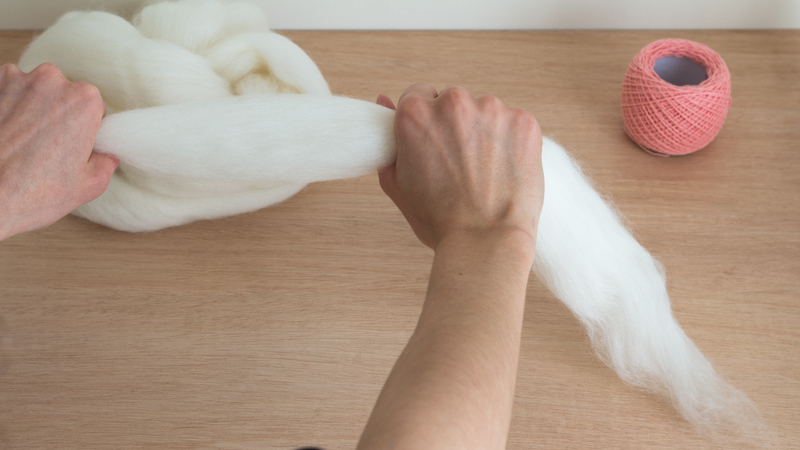 And without knowing where to start I lacked confidence in making those first decisions – spindle or wheel, raw fleece or prepped fibre… the list could go on. When I did finally make these choices and got my first spindle and supply of fibre, my first hand-spun yarns were dense and lacked consistency. This in its self is not unusual for a beginner spinner and these early lumpy bumpy yarns are part of the learning process. Though, without knowing how to evaluate my yarns and where to make improvements in my next spin I was seeing little progress. I set out to learn as much as I could. I gathered books, watched videos, read magazines, and listened in to the various online forums. I attempted to distil all this information, applying the elements that I thought might help me. With time this effort paid off, I learnt the mechanics of fibre and twist, the importance of preparation and finishing techniques, and the tools I could use to measure and evaluate my yarns. These insights provided the necessary framework to intentionally plan and spin yarns, evaluating my progress with each experiment. With practice, I was seeing improvements in my technique and more consistency in my spun yarns. I was planning and spinning yarns for specific projects. I was finally starting to see the results I was after. I was spinning with intention. I was spinning with confidence. And most of all, being a diehard maker of all things, I was getting great personal satisfaction to see my fibre-to-finished projects finally come to life. 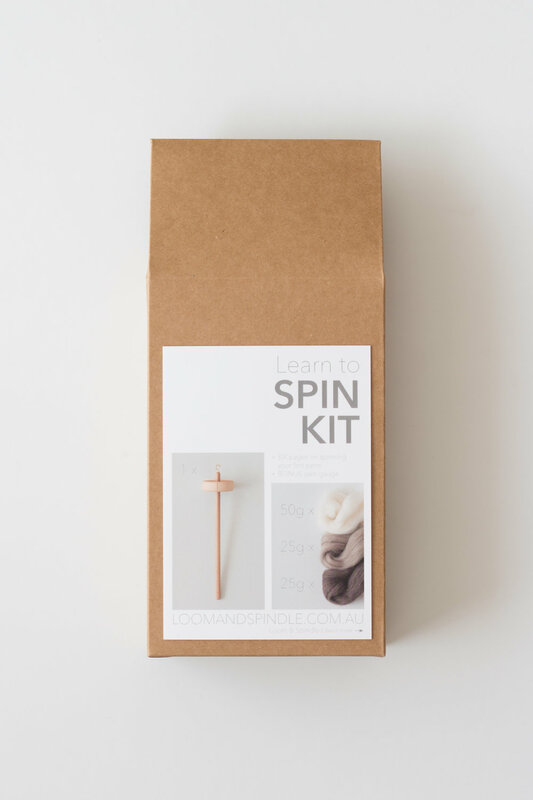 I’ve since documented and refined this four-year journey to create the first Learn to Spin Kit for Loom & Spindle – The complete kit for spinning your first yarns. A simplified method for spinning your first yarns, highlighting the four easy-to-remember action steps: PINCH-TWIST-PARK-DRAFT. 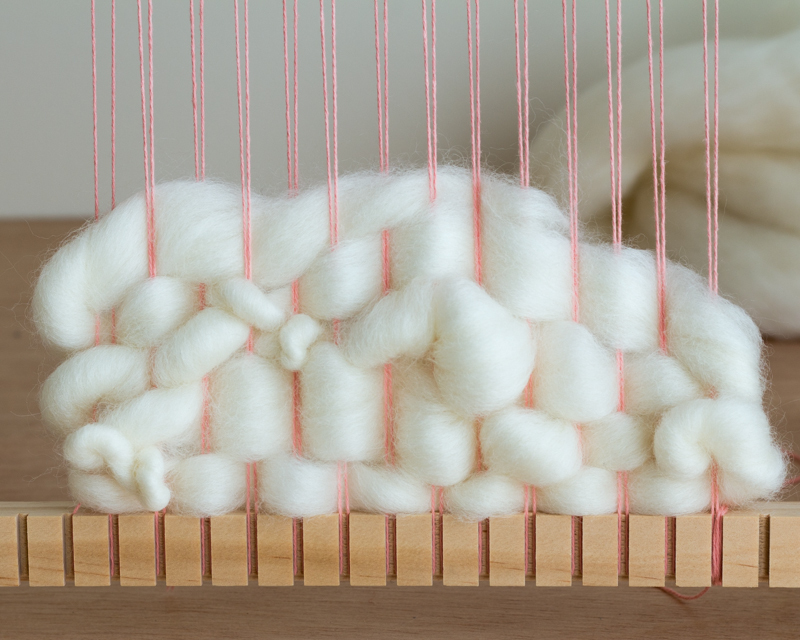 An introduction to the language of spinning and tools you can use to measure and evaluate your yarns for more intentional spinning. By offering this kit my hope is that I can provide you with a new opportunity to be creative with yarn and fibre, and extend your passion for making.